You know how classics have always been well, classic, and by definition, lacking the bling that makes jaws drop? And you know how the colors that have been in yesterday only serve to date our kitchen to an era we may have fond memories of but don’t want to remain stuck in? It’s finally time to roll out the red carpet for a boldness we haven’t seen in decades. After all, shedding winter doldrums and welcoming spring is a lot about out with the old and in with the new. Do you absolutely love shaking up a box of 164 Crayola crayons and watching color explode? Well, then, 2019 kitchens were designed for you. Surrounded by bold, dramatic style, meal prep – and the fun aftermath called cleanup – turns into a fun experience. So, what are the actual choices? Light tones are mostly neutral, and project a timeless style, perfectly complementing other elements in the kitchen. Medium hues include standard shades of blue, grey and yellow. Dark shades are bold, and with colors such as emerald green, black, navy, deep plum, etc. they sure make a strong statement. Manufacturers are meeting demand, and providing cabinet finish colors in nearly every shade of the rainbow, providing homemakers with a delightful candy shopping experience in the gingerbread house of paint colors. This is perfect for consumers who are no longer satisfied with cookie-cutter vanilla and want to express personal style with all the bells and whistles that say: “This is me”. Are you of the belief that the more color choices the merrier? Here’s some more good news. You don’t have to choose between two color besties: The two-toned kitchen style is peaking. How to implement the color delight for a winning 2019 statement? Not everyone likes living in a crayon box – but that doesn’t mean they like being confined to the dull ice box of whites and grays we’ve seen the last couple of years. The trick for conservative trendsters is to hold onto classics while easing into the new. Chances are neutral colors are favorites here. Pairing them with tones of yellow, green, black, navy, or bright ruby as accents allows homemakers to express their individuality without completely letting go of classic conventions. Another conservative approach is to ramp up color on an island. Since islands are generally breakaway pieces, this gives a kitchen popping character without destroying its fixed identity. 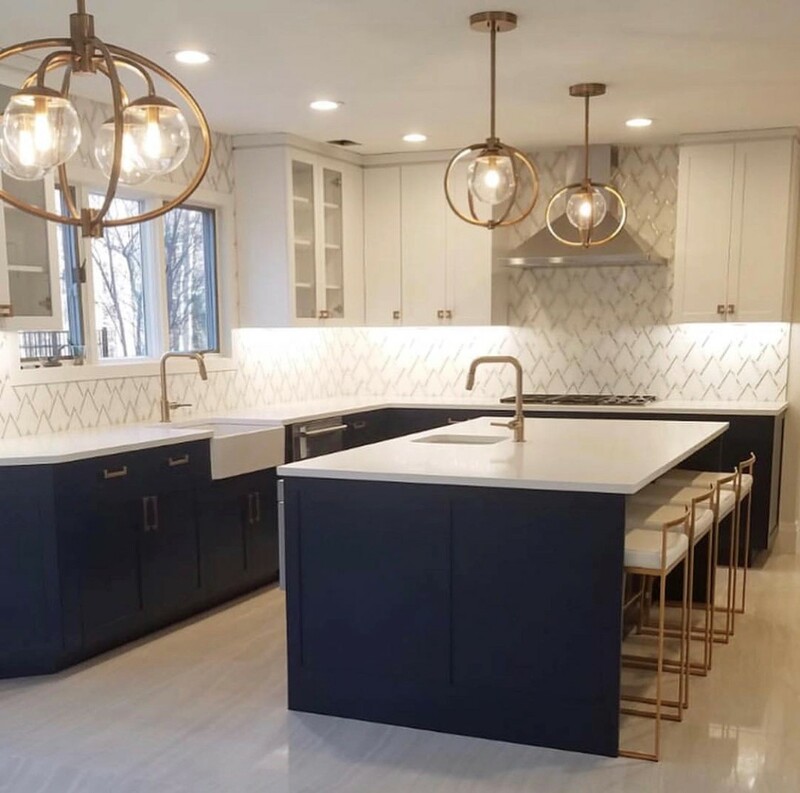 Bold Blue – This Toms River kitchen perfectly pairs white and blue shaker cabinets. A budget friendly solution for joining the 2019 up-and-comings is to paint one bank of cabinets super bold. The danger in dark colors is that too much of it can be depressing and create the perception of a much smaller room. In order for the style and drama to break through lighter hues in a dark kitchen are important for a nice balance. 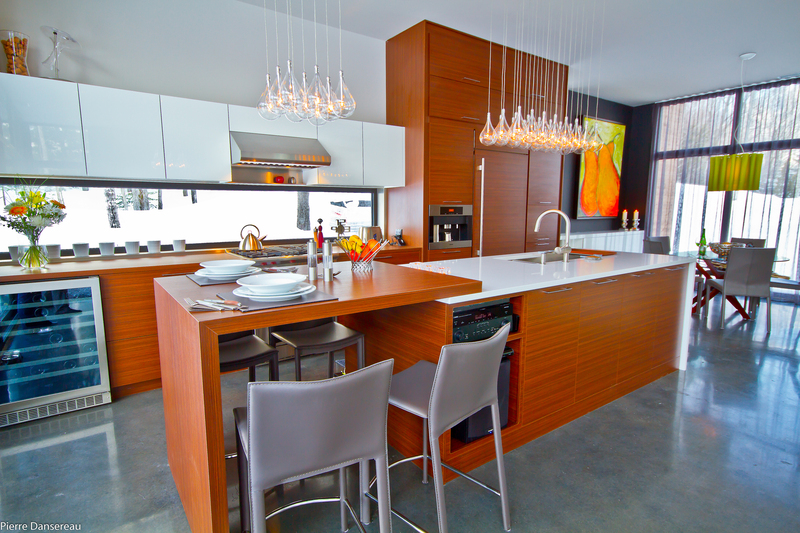 This can be achieved with light colored countertops, under-cabinet lighting, and an abundance of natural light.